My name is Kevin Burns, I am originally from Vancouver, Canada. But I have taught English in Japan for almost 30 years now. I look forward to teaching you English, and sharing some of my experiences in Japan and Canada. I look forward to hearing of your experiences in your life! I`ve enjoyed being an English teacher in Japan, and I have learned a lot about myself, Japan and Canada too. You learn so much from living and working in another country. My three children are bilingual. I`m proud of them! I too speak Japanese, but wouldn`t label myself as bilingual. But I bumble my way through many situations, and manage. At about seven years old I got the idea in my head that one day I had to go to Japan. I`m not sure why exactly, but I think I had been watching a documentary about Expo in Japan or the Olympics in Tokyo. Life always seemed to lead me in the direction of Japan. My brother brought a very good Japanese friend home one day, her name was Kumiko and she was great! She was very kind to me I remember. At 12, I played in a local tennis tournament and in the final I beat Ken Iwasaki, a Japanese-Canadian. He and I became best friends and I often visited his home, which was an oasis of Japanese culture. I enjoyed looking at their raven hair, and deep brown, almond eyes. I tried Japanese food and enjoyed looking at their souvenirs and furniture from Japan. It was all so different from my house. I had always prided myself on being funny. It was who I was I felt. I dreamed of one day being a famous comedian like one of my idols, Steve Martin or a comedic actor like Michael J. Fox (also from the Vancouver area). After graduating from the University of British Columbia with a bachelor`s degree in Theatre (minor in History), I pursued my dream of comedy dominance. I performed at Punchlines and Yuk Yuk`s in Vancouver, I was interviewed and did a little comedy on CBC radio and I made my (drunken) friends laugh! I came to realize however that it was very difficult. At 24 I envisioned a career as a stand up comedian, traveling from city to city, performing in various comedy venues and making around 2,000 dollars a month. It would not have been enough for me. I was a glutton for punishment. I founded the comedy club that went on to become The Tokyo Comedy Store when I was in my late 20s. But I got tired of the infighting of theater and comedy, and chose to concentrate on managing my English schools and teaching. The Tokyo Comedy Store continues until this day, giving English speakers a comedic break from daily life. What I really wanted was a home (with a white picket fence), a kind, caring wife and children. I didn`t want to be out on the road all the time for work. I wanted a home. I also wanted the time and money to be able to travel when I wanted and where I wanted. My wife and I built a Canadian house near Hakone, Japan. 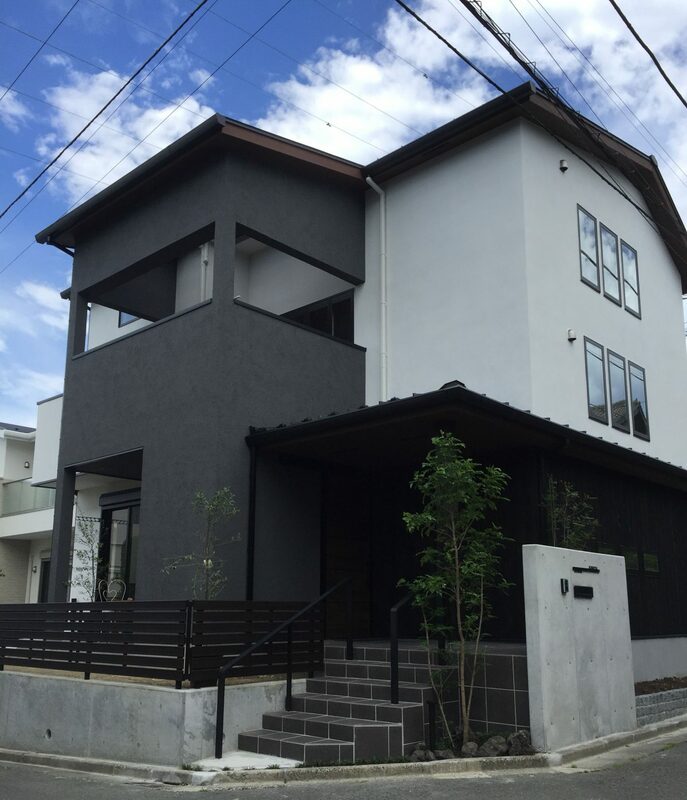 It is located in Minamiashigarashi, and we rent it as a guest house now with Airbnb. We also have another guest house in an American style cottage, also near Hakone. I thought Japan would be a great base for my life and a good safe, place to raise children. Making my living in a pleasant, interesting and financially powerful country, and use that highly valued currency to travel in other countries, has allowed me to see and learn many things. I am blessed to have lived most of my life in Japan. Although there is ethnic profiling by the police at times, and some racism here and there- mostly comments about “how foreigners smell.” There is nothing violent fortunately. Japan is generally a great place. Most Japanese don`t mind non-Japanese, and some love foreign people. Teaching has been great in many, many ways. I have a good income and a lot of freedom to travel. I enjoy Japanese culture. I love the architecture of old Japanese buildings, and many of the new buildings too. I love the subtle art of much of Japanese culture, for example: tea ceremony, or ikebana. I also like the more astounding artistic aspects like kimono or yukata, and some of the amazing paintings Japanese artists have done. I enjoy Japanese food too! The food is good, healthy and even looks nice! As for literature, I love Haruki Murakami. But I want to read many more books by Japanese authors. This may sound strange to you, but I really like the cleanliness of Japan and Japanese people. Japanese tend to bathe everyday, they dress nicely, they take off their shoes at the door, and they value keeping things neat and tidy. I admire that. While working for Columbia College during the summers off from university, I had the pleasure of getting to know hundreds of Japanese students. I found them charming and again Japan kept calling to me. I talked with everyone I knew who had ever lived and taught in Japan. I got to know as many Japanese as I could in Vancouver, and then at 25 I decided that I would go to Japan and teach for a year. But I never left! I taught at St. Mary`s College in Nagoya, ECC in Shibuya, Hon Atsugi, Fujisawa and Machida. I also taught at the Machida YMCA. One of my tenets through life has always been to try as much as possible to work smart. What I mean is, work hard but do not only live to work. Maximise your time at work and at play. As well, I wanted to make sure that I enjoyed my job. So I feel lucky to be an English teacher. And a guest house owner/manager. That is why I started Kevin`s English Schools. Teaching ironically is full of comedic opportunities. So now I am paid to be a funny teacher. I really enjoy it! I try to be funny when I write too. I have taught at Keio SFC. Now I teach at Komazawa Women`s University (Komajo), and I have taught at Tokai University for many years now. I am a fan of Dr. Wayne Dyer and he has always striven to have more and more freedom in his life. Freedom in what he chooses to do, and financial freedom. That is the reason I started Kevin`s English Schools, Kevin`s Guest House and Merry Lue`s Guest House. I hope to make money from YouTube as well. My friend Eric Berg, is doing just that, making money from his YouTube channel EricSurf6. I admire him! Teaching in Japan can be quite lucrative once you are here for a while. It is also very lucrative in terms of giving you a good life and free time for yourself. But a caveat: Certainly not lucrative like a doctor or a lawyer. But it is lucrative in time off I would say. Especially if you teach at a university, you can be blessed with time to enjoy life if you choose to be a part-time teacher. Our fast paced, fast food society is so time-demanding. I look all around me and see many people working overtime at jobs they don`t really like. Does this sound like you? I hope not! Some have stated either you can find a way to enjoy your job (if you don`t), or you can find a job you love. Some say follow your passion. Others, follow your skill. I guess we each have to decide which is the best philosophy for ourselves. It is a tough call that everyone has to go through. I think I will always be looking for new challenges. I love writing, and I love helping people. I enjoy being funny and I can do that when I write or teach. I love teaching, and meeting many different people while teaching English. I look forward to meeting and teaching you in Shinyurigaoka, Machida, Minamiashigarashi or Odawara.